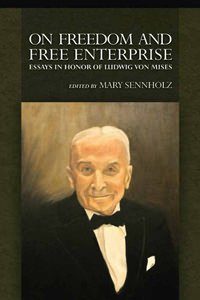 This was the first Festschrift (1956) in Mises's honor, and the essays it contains have proven fruitful sources for decades. This was the first Festschrift (1956) in Mises's honor, and the essays it contains have proven fruitful sources for decades. This reprint features a new introduction. Preeminently, it contains Rothbard's reconstruction of utility and welfare theory.